I quite like Uptown's concept of pushing the big buildings to the edge and having a large opening in the middle. It makes for a great event space and parents love taking their kids to the water park area there. It's a much more active place than a strip mall at the back of a parking lot. Agreed... and who really want to have public realm along that part of Blanshard or Douglas? It is a on ramp to a highway... not some sacred rural area. Uptown addressed its surroundings well by turning it's back to them. There are enough people jaywalking across Blanshard as it is without it having become some encouraged pedestrian paradise. You do make a valid point. There is also the plan to convert that stretch of boa shard into two-way traffic. Not sure how that will work with the masses of traffic flowing through there. 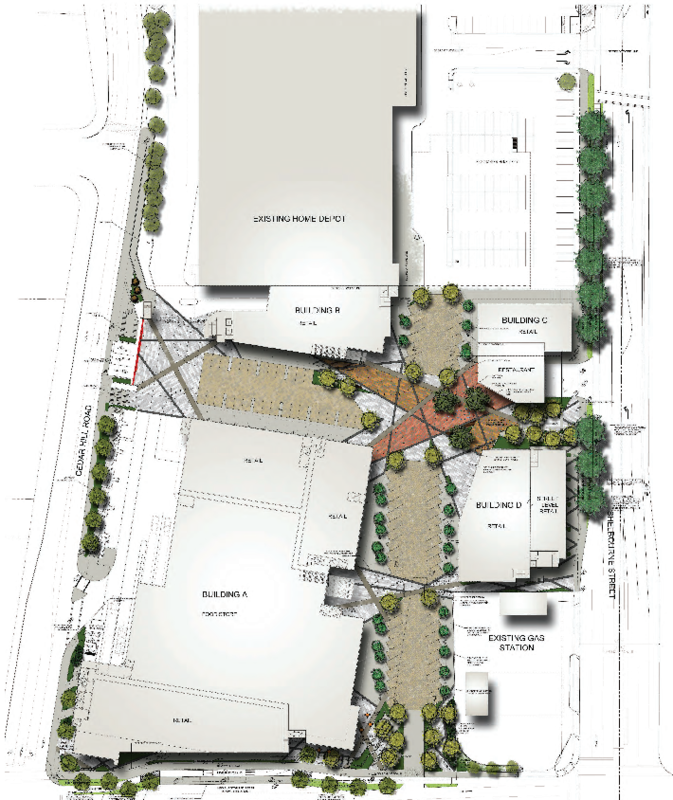 They pretty much canned that plan, to convert Blanshard into two way there. They did? Thank goodness. That would have been a disaster. Any news on how ADP went? Nothing has made me hate gas stations more than this corner. This intersection has so much potential with NVision/Abstract building a rental on the old Shell site, Tuscany village, and now UH. The Esso & Petro are making this vision for an integrated street-scape very difficult. The Esso station isn't going anywhere soon. It's not owned by the developer. Home Depot has the first option on a location more or less where they are now. They would remain open during construction. The movie theatre is another story. There is no deal yet and things are complicated by the fact that Landmark Cinemas was recently bought by a Belgian firm. Kineopolis Group who are looking to expand in western Canada but who knows if they find Saanich a viable location. A deal would have to be struck soon because it would be a major tenant. It's not like an Orange Julius you can just plunk in anywhere. But it's a tough business. Theatres take up a lot of space and their revenue is pretty much all from the concession stand. But they can go underground like they are at University Heights and it adds interest because face it, a mall should be more than the same old ALDO shoes and Body Shop stores you see everywhere. Edited by Rob Randall, 07 September 2018 - 09:01 AM. the underground theatre angle is actually quite astute you can't always use basements well for other type of commercial activity. I absolutely love the renderings and this entire proposal. Has a real "big city" look. Edited by RFS, 07 September 2018 - 09:19 AM. ...The movie theatre is another story...Theatres take up a lot of space and their revenue is pretty much all from the concession stand...a mall should be more than the same old ALDO shoes and Body Shop stores you see everywhere. 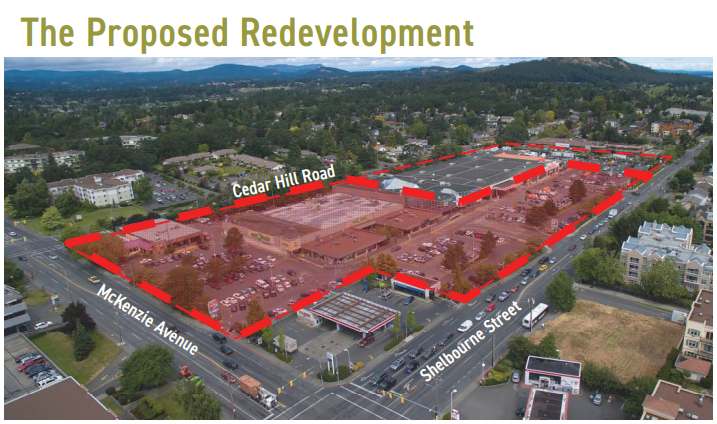 Which is why the former Sears location at Hillside seems ideal for this sort of redevelopment. What gave me confidence is the developers actually spent time at Tuscany Village and looked closely at what wasn't working there, whether it was the parking layout or the too-narrow sidewalks and are determined not to make those same mistakes or cheap out on the design. I trust that includes no attempt to replicate the Disneyland-style aesthetic from Tuscany Village. It's actually a cute little mall with quirky tenants. It's too bad there's so many vacancies, especially in the basement and top floor. The gaming store has added a lot of life because it is packed in the evenings with kids playing games. And they have two great anchors. The parking lot is the worst, and if I do go there I park underground which is just fine. Neat! What is that institutional building just west of Cedar Hill Road? I note how few trees there are in the residential areas, as compared to now. Tell me again why we need a tree protection bylaw. Great image. My old neighborhood (nice to see our outdoor hockey pond from the late 60's replaced by the then new library in the upper left corner of the image). That institutional building was actually a condo. And just to the west of that, and at the highest elevation in the area, is the old "Sutherland House" as we called it, so-called because a Dr Sutherland owned it at the time. Since then it too has been sold, re-sold and redeveloped as a four-plex I believe. Where the mall is here used to be scrub bush where the older teenage boys would go bow hunting for pheasant. The corner of Cedar Hill and McKenzie Avenue in this picture is barely 5 years from being gravel, as I well recall it being entirely pristine Garry oak, meadow and farmland prior to the roadbed being laid for McKenzie roughly in 1969. The corner of Cedar Hill and McKenzie Avenue in this picture is barely 5 years from being gravel, as I well recall it being entirely pristine Garry oak, meadow and farmland prior to the roadbed being laid for McKenzie roughly in 1969. You gotta' be old like me (and you) to remember a gravel Ruby Road (now Mckenzie) running through dozens of acres of farmland and forest! I walked to school every day (Gordon Head Elementary on Kenmore) through an endless series of paths on farmers fields, with nary a sidewalk or roadway as part of my journey. When people in 2018 ask me if I was born here, I always say "yes, I grew up on a farm on Feltham Road" ... which always gets a puzzled look, with folks not able to imagine what the photo above clearly lays out ... a Gordon Head full of farmers fields, forests, and green houses ... with the occasional house in between (unless you were in the Cedarglen or San Juan subdivisions, a couple of the first in town ... great for trick or treating for a Feltham Road farm boy!). Edited by Cassidy, 09 September 2018 - 06:00 AM.